Get a free sketch, and a discounted oil painting! “Sunset Rest,” 6×6, oil. Part of a series of seascape/waterfront paintings I am developing. Do you have wall space that is begging you to fill it? Then I have a solution for you! 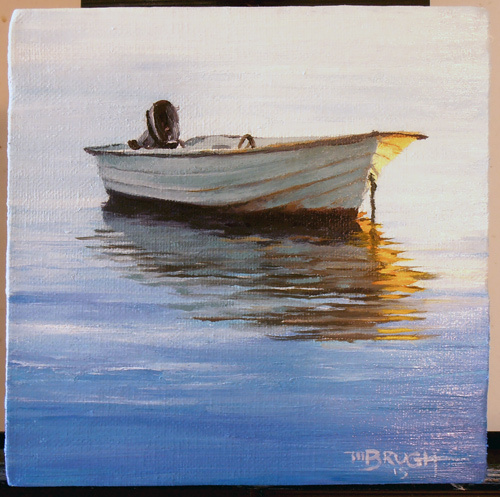 I am pleased to announce my latest oil painting, “Sunset Rest.” It is a mere 6″ x 6.” Click here to purchase it. I will throw in a free pencil sketch as my way of saying thank you! I have recently discounted this painting, so there is no better time than now to own the first in a series of sea and seashore-related paintings in this smaller format. Or, better yet, sign up for my latest news on the right-hand side of this blog, and you’ll always be in-the-know.